Well, if you liked the previously linked post of B&W photos, you’re in for a treat with THIS post. Not only a crap-load of B&W photos but I also interview myself and wax poetic about life’s fortunes and misfortunes . . . actually, I wasn’t paying attention so I don’t know what I wrote about but I can guarantee it was amusing (at least, it was amusing to me). It’s actually worth a peak just for the photos; the brilliant writing is just gravy atop a gourmet offering. 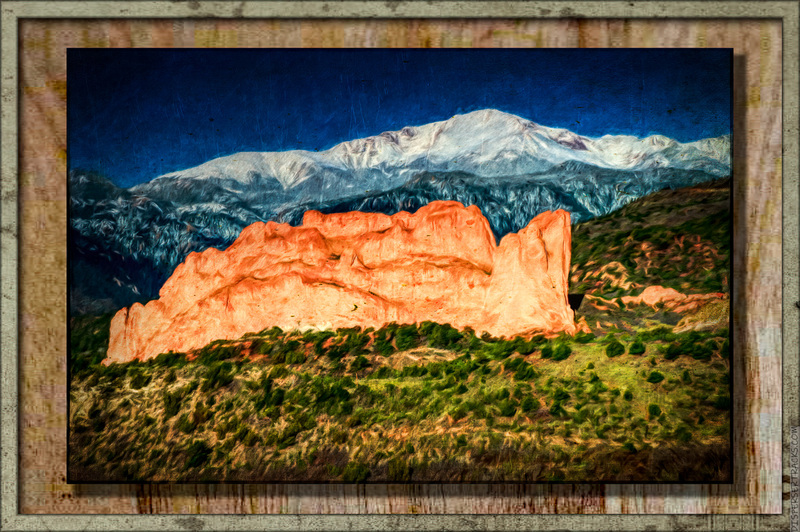 I seldom do landscapes in these treatments but Garden of the Gods and Pikes Peak make a fine pair for an artistic offering. I understand . . . I really do. The insecurity and impermanence of one’s life drive many people to seek answers to unknowable questions. Still, I find it difficult sympathizing with people willing to self-fool themselves with the charlatans populating the fortune telling industry. To say nothing of the ones populating religious industries. Say, this is a bit strange . . . it’s Idle Hands and Minds Collaborate To Do Other Stuff — the abstract version. i like first one and last one paint art , in first one combination of greenary, fire, and hills. Thank you. Those red rocks really light up in the morning sun. They reflect a lot of light and look surreal against the backdrop of the surroundings. That rock formation actually looks like lava, thus making it really stand out. Nicely done. And the doodle looks like it was done by finger painting. Quite neat. I think I had that shot before in a post. The rocks reflect so much light that they look unreal in photographs. In person, they still look impossibly bright. That was in the morning with the sun just rising and hitting the rocks at a low angle and they acted like mirrors for the sunlight. I think that was the impasto setting (appropriately named) but I’m not sure as I often do multiple things to photos (and doodles). Ha! I like people who amuse themselves. I amuse myself…and I’m very easily amused! Good to re-peruse your B&W photos and the gravy was good, too! PHOTO: You made the art even more artistic! Beautiful layers and colors! CARTOON: I’ve never had my fortune read. But that made me snort-laugh! 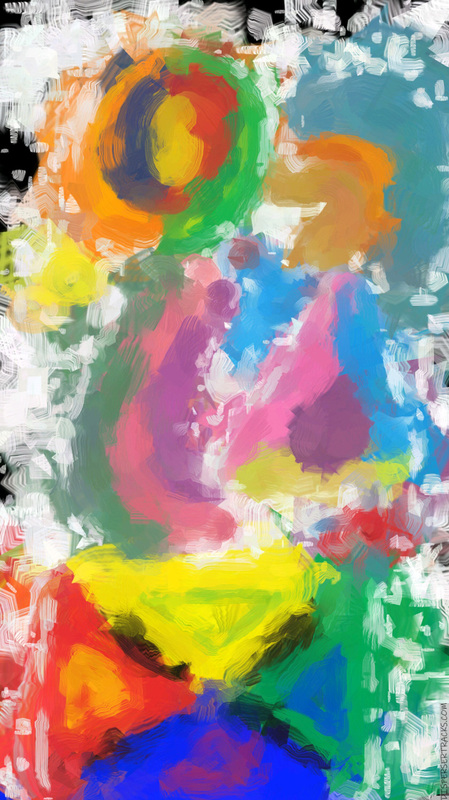 DOODLE: Kandinsky, Picasso, and Pollock would like this! I do, too! I would like to have my fortune read . . . I first have to find it. Most likely, I’ll have to make it because I doubt I’ll find it in some overlooked corner. I like the fortunes in fortune cookies but I don’t take them seriously. I always play the lotto numbers . . . Not a millionaire yet so I don’t put much stock on the fortunes.